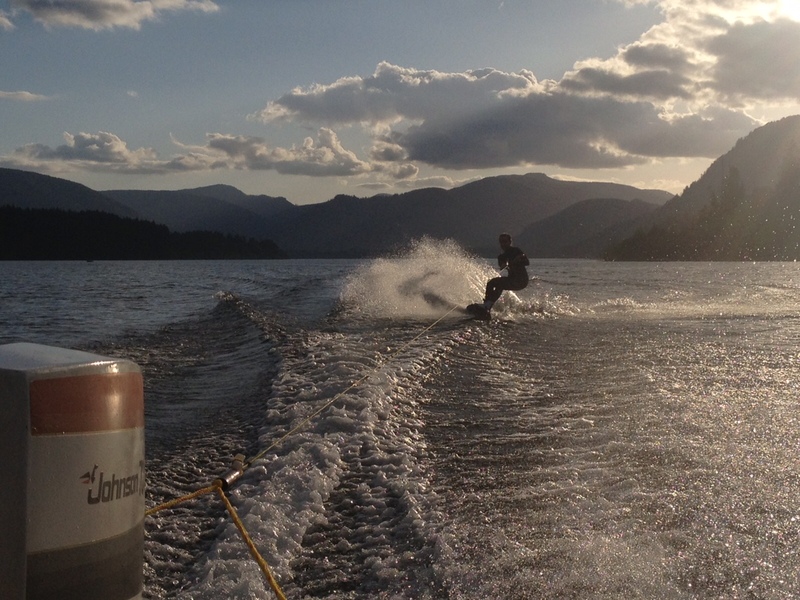 Cowichan Lake is a beautiful 30km long lake located in the Cowichan Valley, popular for swimming, boating and fishing. 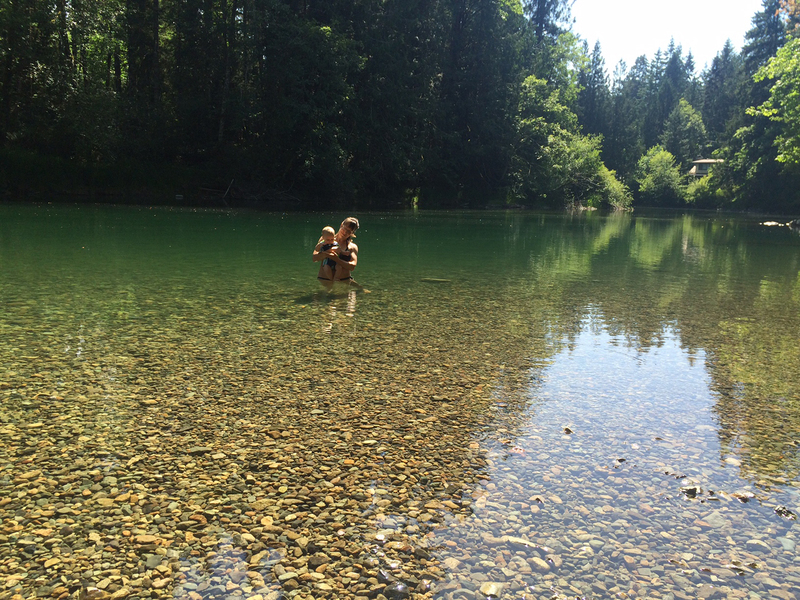 It is also where the Cowichan River starts, providing another fun activity – tubing down the river! The area is sparsely populated, in large part because only a small section of the lake has paved road access. 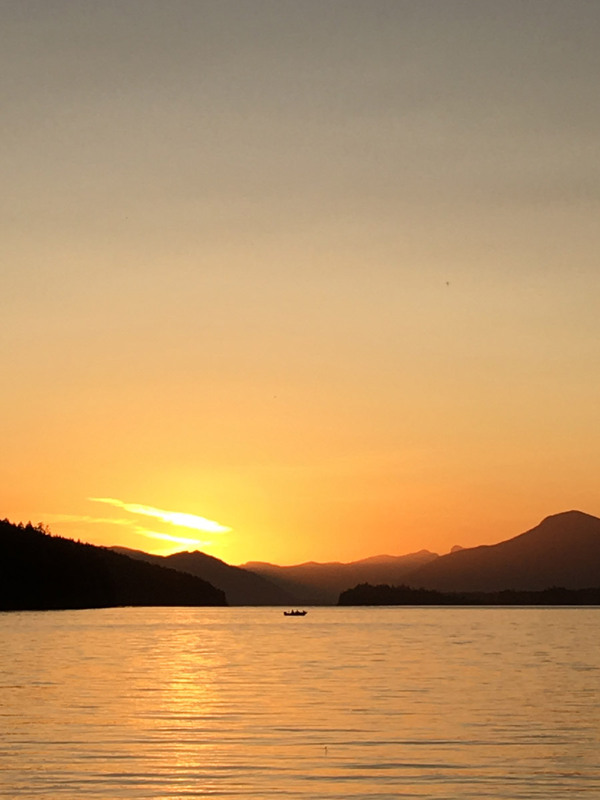 The largest town on the lake is Lake Cowichan at the eastern tip of the lake where the river starts. 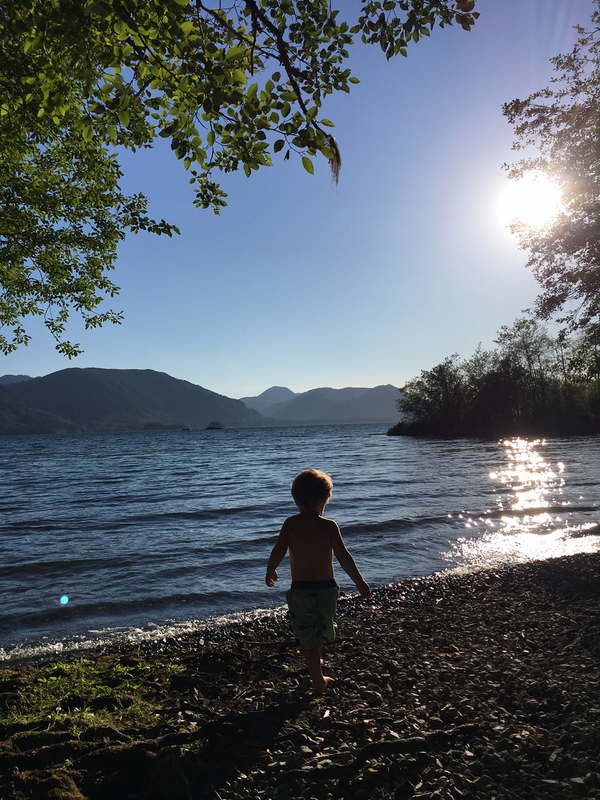 (That’s Lake Cowichan on Cowichan Lake, not to be confused with Cowichan Bay which is a nearby town on the ocean – confusing, right?) 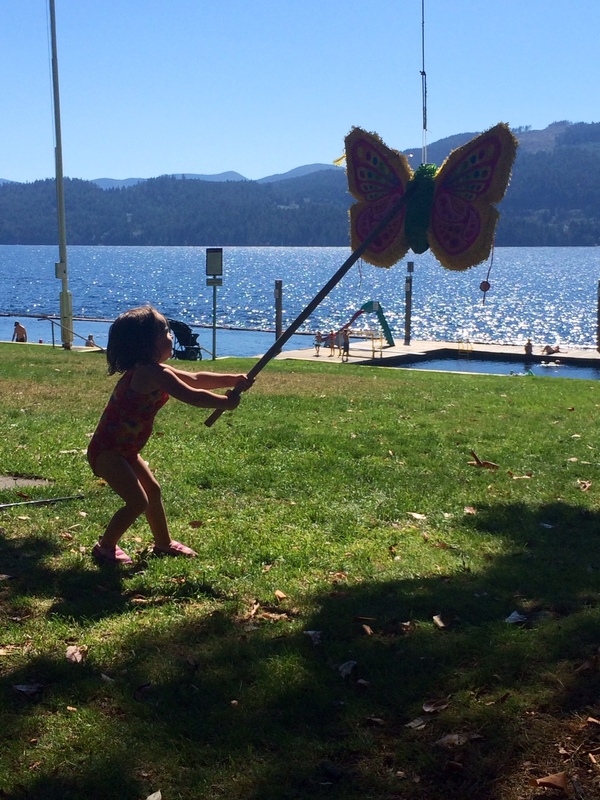 On the south side of the lake are two smaller communities – Mesachie Lake and Honeymoon Bay. On the north side of the lake is the community of Youbou (pronounced you-bow). It is possible to drive around the whole lake along logging roads, which can take up to 2 hours. 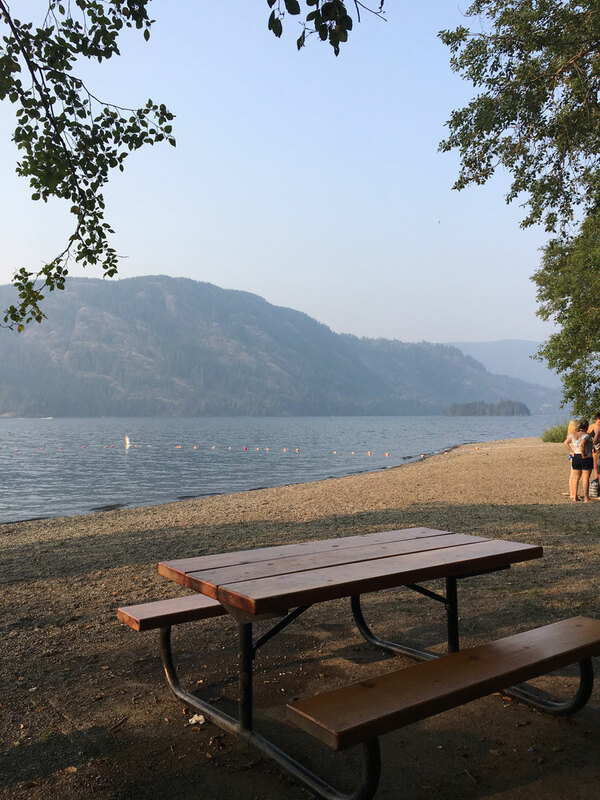 When we first moved to Lake Cowichan nobody seemed to be able to give me a straight answer when I asked where the town beach was. Now I know it’s because there is no single “main beach” on the lake. Instead the lake is dotted with small to medium size beaches and secret spots as well as some private beaches. 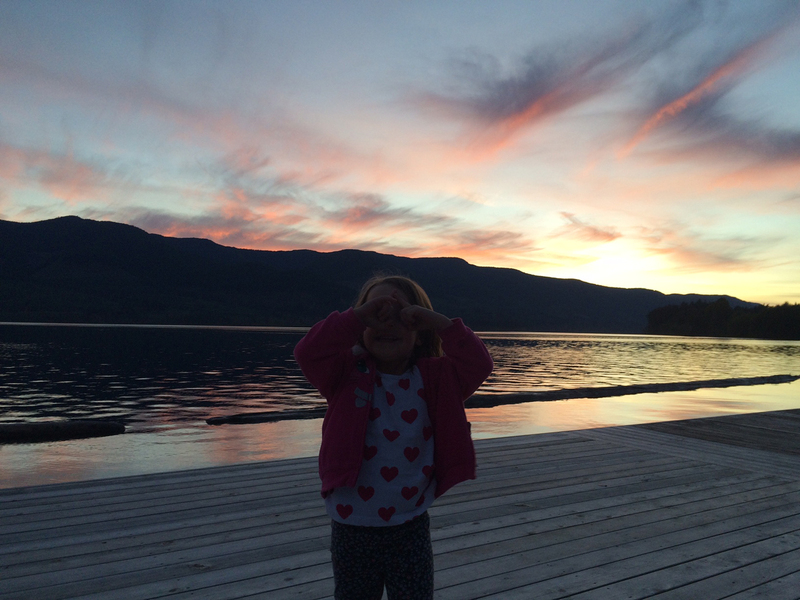 Here is a list of my family’s favourite places to swim around the lake and the river. 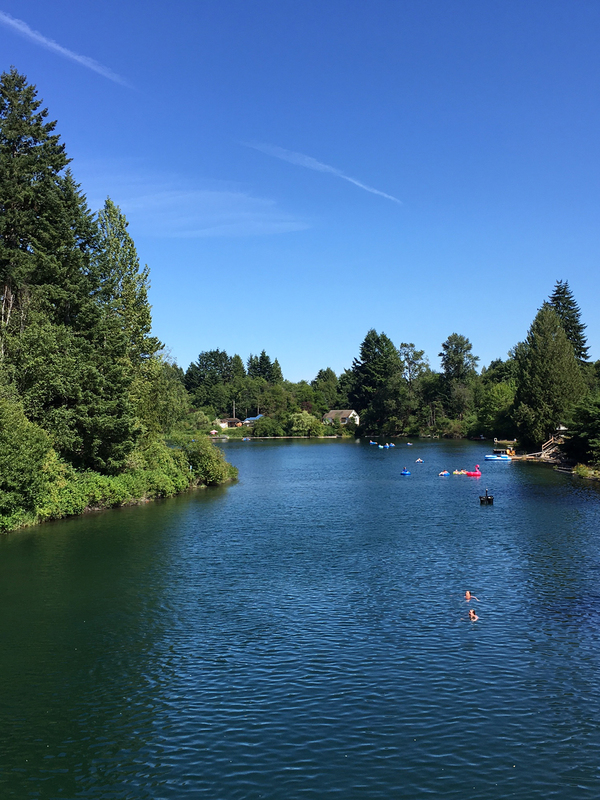 The two main places to launch tubes are Saywell Park (drive through the roundabout, over the blue bridge and park beside Jakes at the Lake Restaurant) and Central Park (right beside the roundabout – park at O.R.K.A. 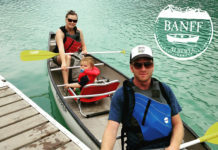 Tube and Kayak Rentals, Country Grocer or beside the park). O.R.K.A. and The Tube Shack are the two tube rental outfits in town, and both provide shuttle service to pick you up from the exit point of Little Beach. You can also bring your own tube or buy one from one of the stores in town. A few tubers on the Cowichan River in Lake Cowichan. 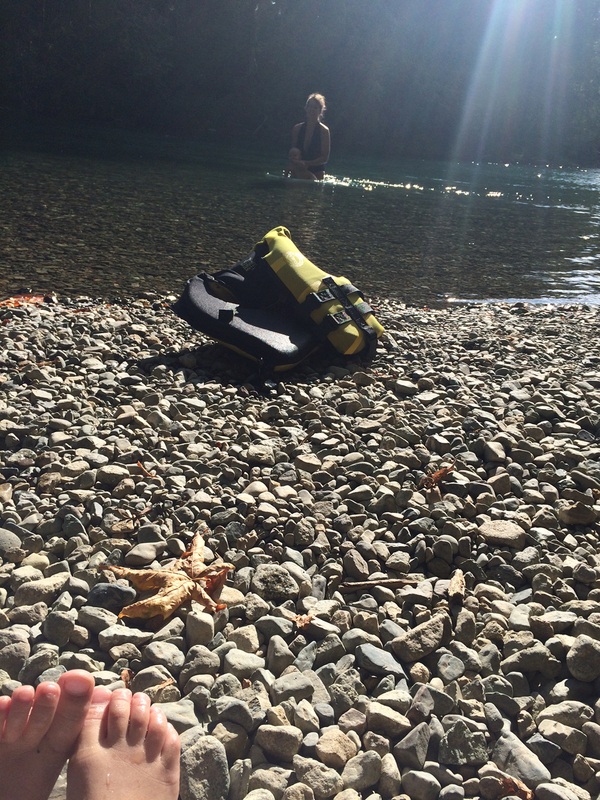 As mentioned above, Little Beach is the place where tubers finish their ride down the river. As the name suggests, it is quite a small beach, and yet one of our favourites. 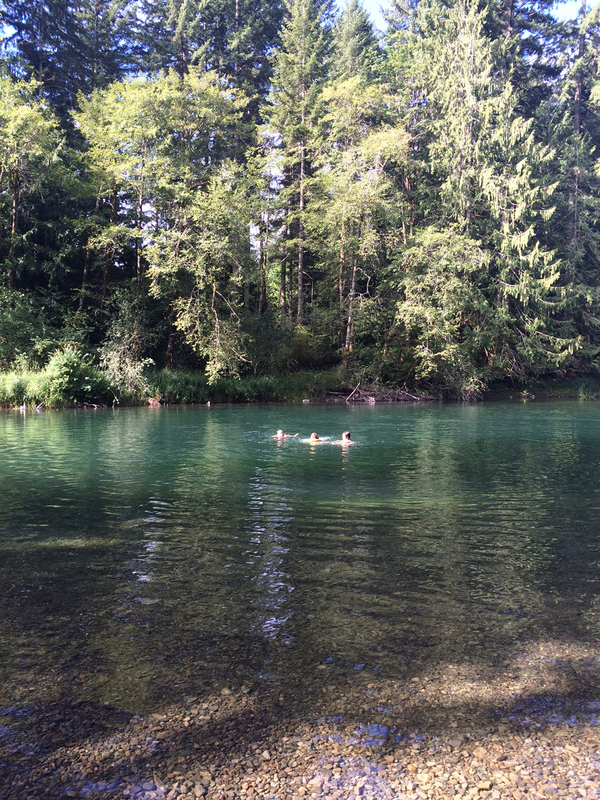 The water is a very nice temperature July through September and there is a deep pool for swimming as well as shallow areas for wading. The water alternates hues of green, gold and turquoise depending on the light and we regularly see kingfishers, herons, a variety of ducks, geese, crayfish, otter, small fish and once even saw a black bear crossing the river a little ways up. Because of the popularity of tubing which peaks on weekends, it can be a bit crowded and even rowdy on the weekends, especially in the early evening. Midweek though we rarely see more than a couple other people and often have the place to ourselves. 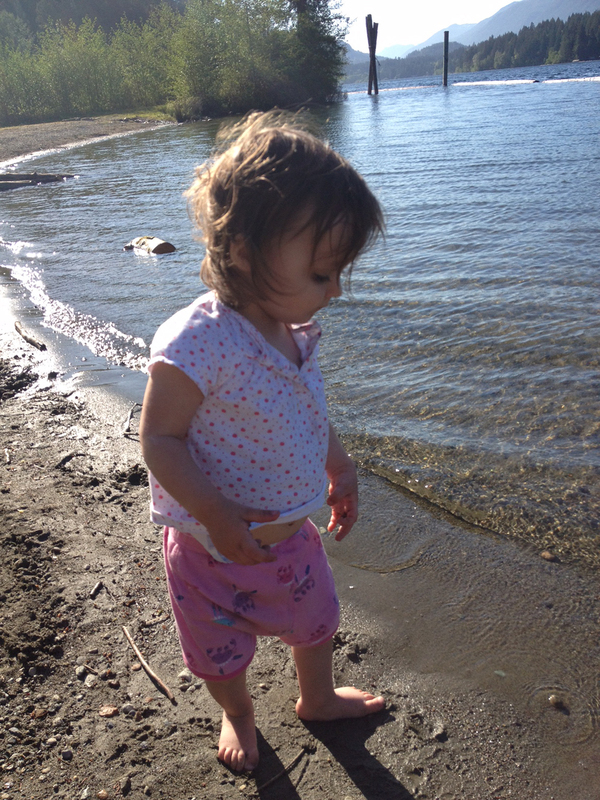 Our kids favourite place on the lake is Arbutus Park in Youbou. There’s a large grassy field with picnic tables and a covered picnic shelter. There is a small playground with slide, short flying fox and swings. The main attraction is the sandy beach with a dock, water slide and diving board. In July and August there’s a lifeguard and life jackets available. There are also a couple places nearby to stop for a snack or ice cream. We love Cassy’s coffee house which has homemade food and ice cream, and the Youbou Mini Mart has basic groceries and often has fresh fruit and house-made packaged sandwiches. Picnic shelter at Arbutus Park in Youbou is a great place for birthday parties. 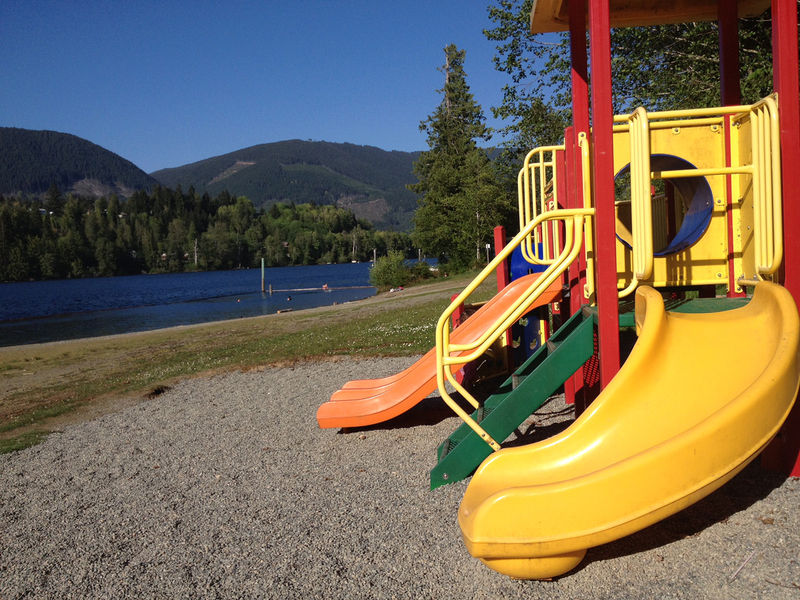 The Kinsmen Duck Pond is a playground and beach on the river with a dock you can swim out to. If you plan to float the river with your own tube it is a great spot to launch. There are bathrooms and changerooms and a foot bridge from the park will take you to the main strip in town for an iced coffee at Scarlett’s Boutique and Coffee Bar or an Ice Cream at Deep Fried Ice Cream or J&V’s Diner. 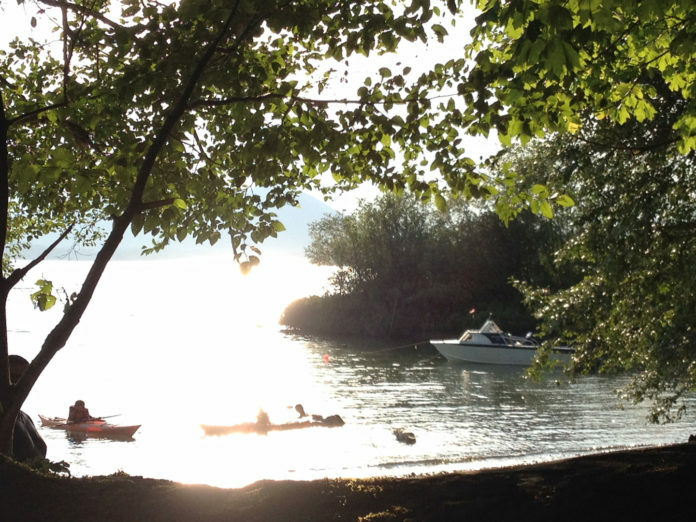 Gordon Bay is a Provincial Park with a campground and nice flat sandy beach in a protected bay. There is a 20 minute trail that will take you a beautiful sunny spot at the mouth of the bay with a short swim or wade to a small island. The trail starts at the end of the parking lot. 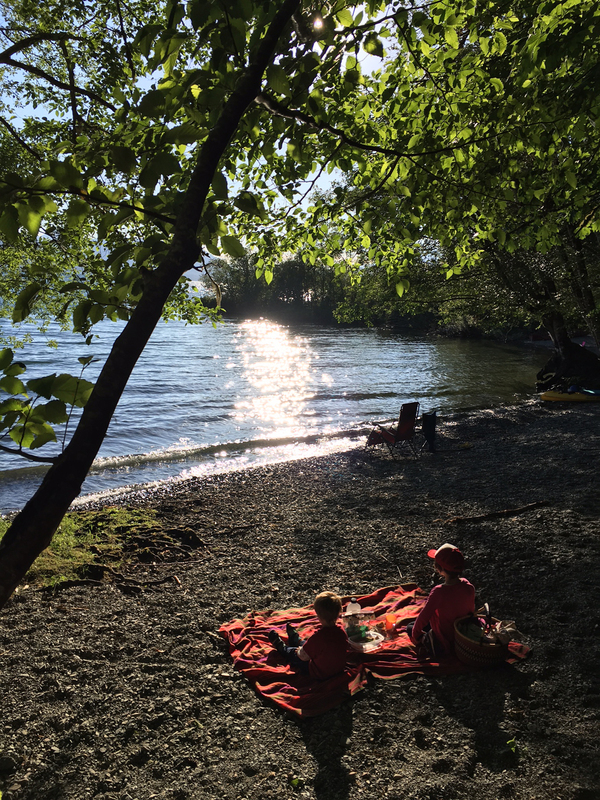 Spring Beach offers a nice, secluded gravel beach at the tip of the north arm of the lake. This is a day use site that can be reached by a short trail through the forest. Coming from Duncan on Highway 18/Youbou Highway, turn left onto Meades Creek Road. If coming from Lake Cowichan along North Shore Road, turn left onto Meades Creek Road and continue until you see a forest plantation on the right (fenced forest with lots of hats on the fence). Park along Meades Creek Road and look for a big yellow gate and big sign for Spring Beach Recreation Area. The beach is a short walk down the trail from the gate. 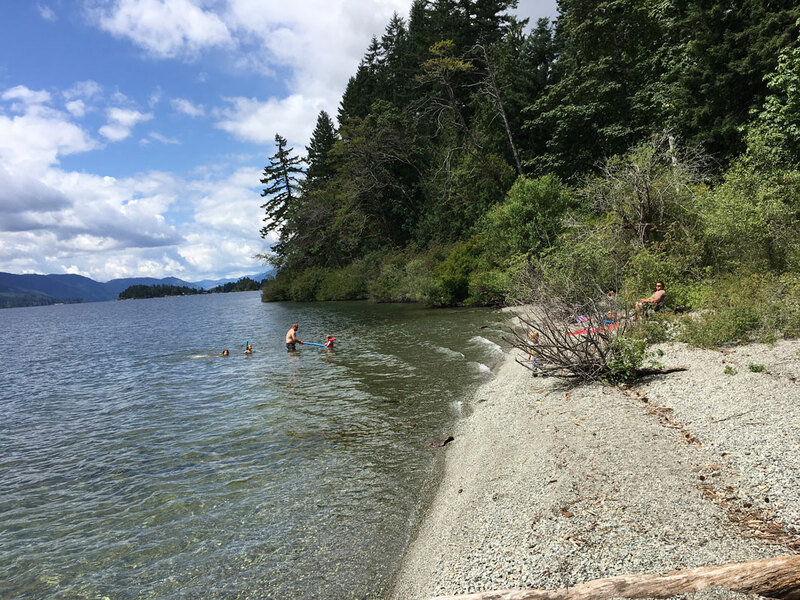 Price Park in Youbou has a series of small beaches accessed via forested trails. Main trail access is from Miracle Way. There are also entrances from Youbou Road and Swordfern Way. Lily Beach in Honeymoon Bay gets sun all afternoon. There is a roped swimming area with a dock as well as picnic tables. The beach can be reached by a short trail from the parking lot which is located on Beach Drive off of South Shore Road. A great little gravel beach that is generally not too crowded and sunny late into the afternoon. Fisherman’s Beach is only accessible by a trail that crosses the Trans Canada Trail. It is not marked so a little tricky to find. The trail starts from Cowichan Lake Road, approx 4km west of the Skutz Falls turnoff, or 4km east of Lake Cowichan. You can park on the side of the road at an ‘S’ curve about 20m east of a blue house on a small farm with a barn. Follow the trail until you reach the river – approx. 20 minutes. 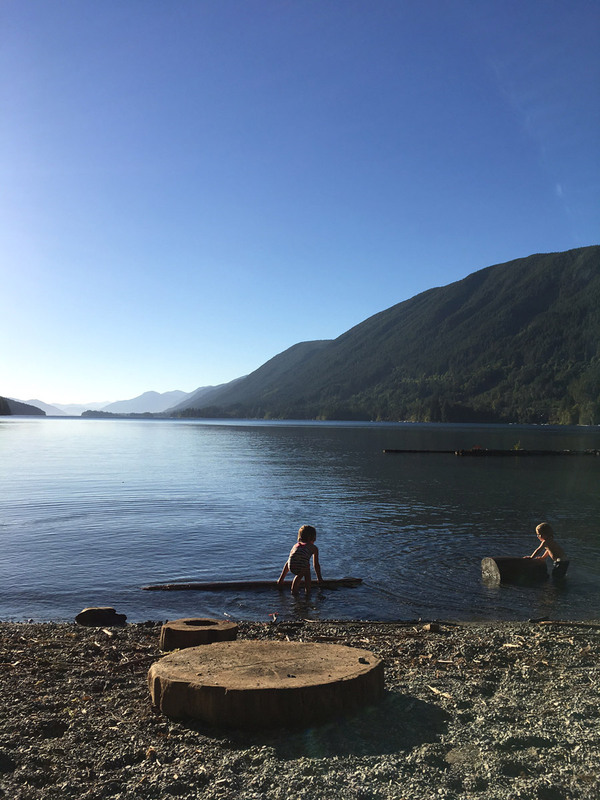 There are quite a few beautiful campgrounds around Cowichan Lake that have their own beaches. These are gravel road access only so roll up your windows and slow down. Many of these roads are also in active logging areas, so drive with extra caution during work hours (Mon-Fri). Pine Point is about 3.5km past the end of the paved road in Youbou and has a day use beach. Maple Grove is approx 5.5km past the end of the paved road in Youbou. 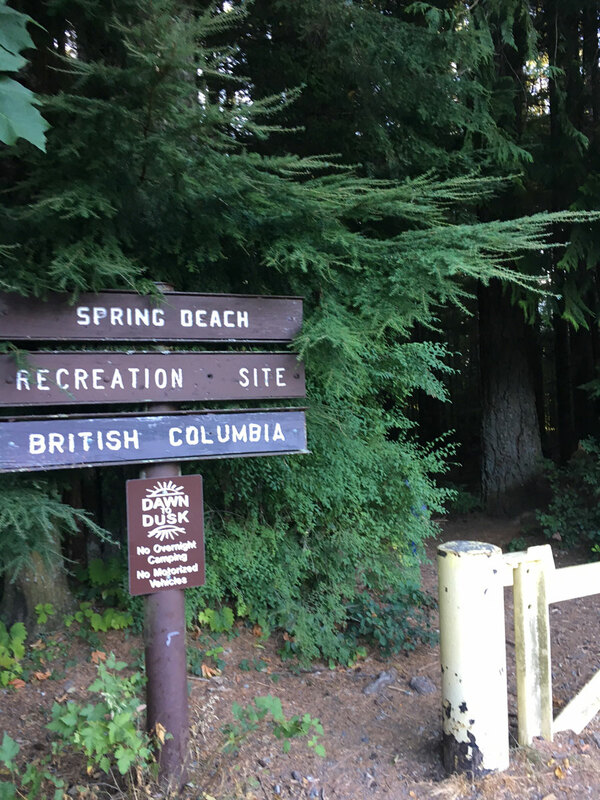 Drive through the campground until you reach the sign for the beach. Time for a dip in the lake! 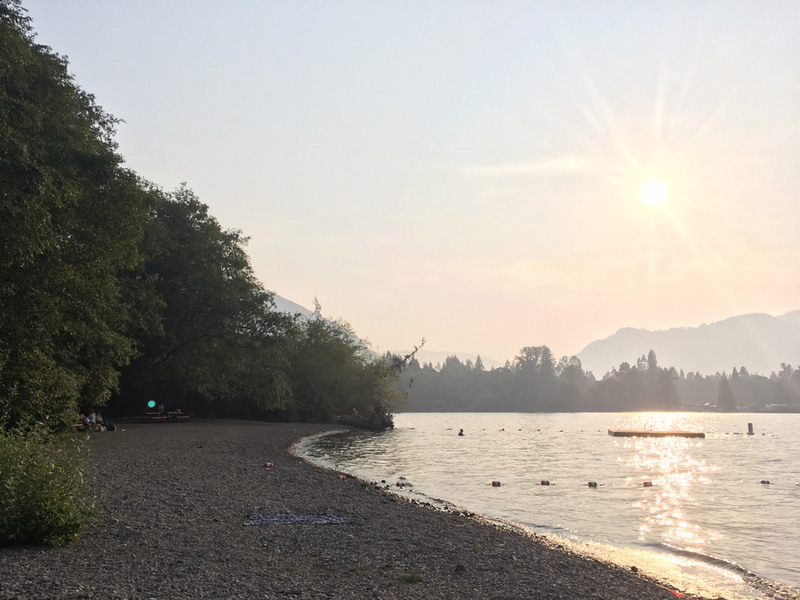 Maple Grove campground beach on Cowichan Lake. 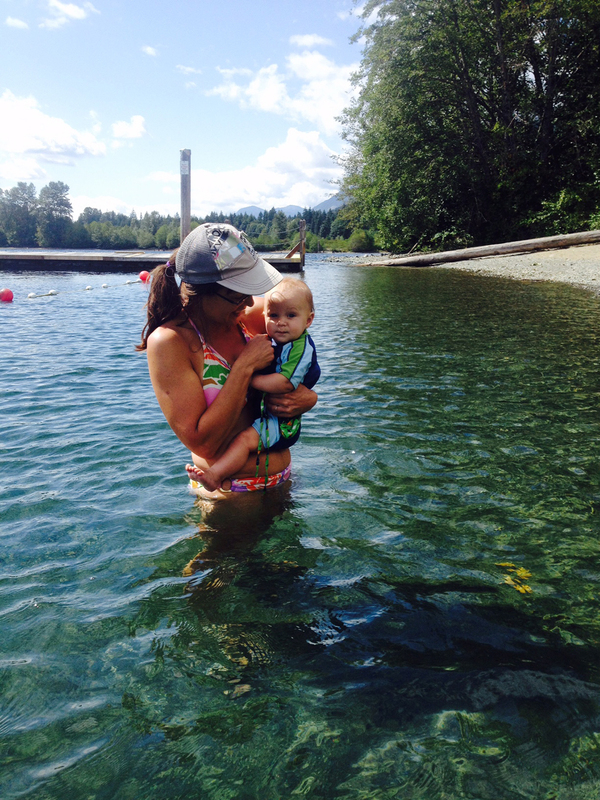 Mom of two from Vancouver Island - I love spending time near the ocean and exploring the outdoors. 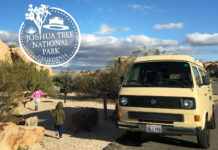 I have quite a few US National Parks on my family travel bucket list. 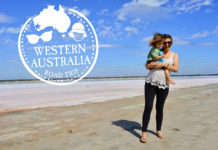 We publish family travel guides from around the world to create a community where we can inspire each other to travel with kids. 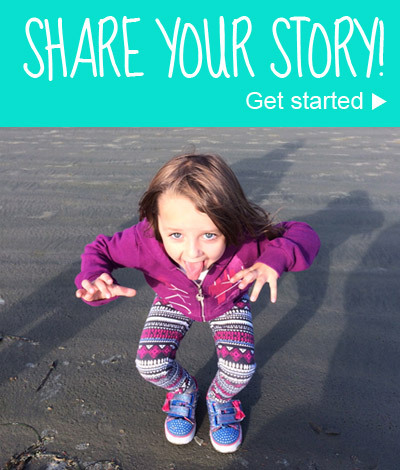 Share your family travel story. Create a guide today! 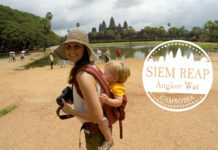 © Papousse - Travel with kids made easy.